Carla Barrett | Quilting, eClasses, Mixed Media & More! Happy New Year from the Bahamas! My husband, Joe, and grandson, Ethan, and I have rejoined our sailboat, MAHI, starting Year 2 of our cruising adventure. We are starting out from Great Harbour Cay in the Berry Islands as soon as the weather allows. We have a blog at svmahi.com if you are interested in following along for our adventure. Meanwhile, my good friends, the Pixeladies, have just released their online class schedule for the first half of 2017. The big news is they’ve finally put their design class on the schedule. I say finally because back in the day when I hosted their classes on Feathered Fibers, they taught a great design class. I can’t tell you how good they are at helping people develop their own creative voices. I highly recommend their classes! Whether you’re a beginner or more advanced, you’ll really appreciate the quick teacher feedback. You can find more information on their website: http://www.pixeladies.com/classes. Many of my longtime quilting friends may be aware that I took a break from quilting and teaching to buy a cruising sailboat called MAHI, and go find a pretty, tropical beach to relax. We did that over the last year, leaving our boat in the Bahamas for hurricane season. 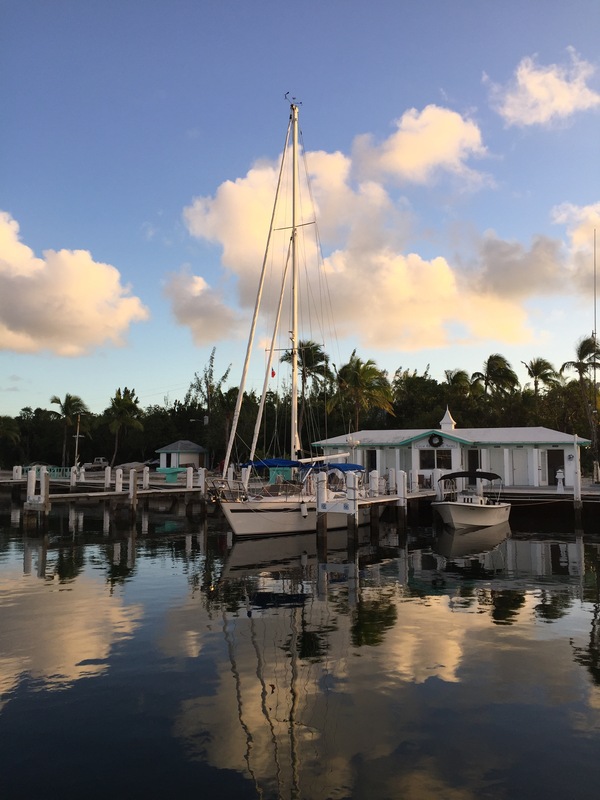 Right now, we are waiting to learn the fate of our boat at Great Harbour Cay Marina in the Berry Islands, Bahamas. This is a beautiful little island that captured our hearts. My husband, Joe, is with the boat, hunkered down in a concrete structure in the marina area with a group of boating friends. Please pray for his safety, the safety of our friends, and Bahamian people, plus anyone else affected by this horrible storm. We hope we do not lose our boat to the hurricane, as well. If you are curious, I am doing Hurricane Update Posts on my boat blog HERE, and on my Facebook page at https://www.facebook.com/carla.s.barrett. If you cannot see my posts on Facebook, just friend me. Does your computer screen look like the one on the left? Confession time: that is what my screen looks like now. It is rather embarrassing to admit this. I have decided it is time to organize all the images on my desktop and in my folders, so have signed up to take the Photoshop Elements (PSE) Organizer course by my friends, The Pixeladies. Won’t you join me so we can hang out in the classroom together? I will also learn how to organize all my sailing shots, like this one of a sea biscuit. Knowing Deb and Kris like I do, this will be but one tip among many. I am looking forward to it! 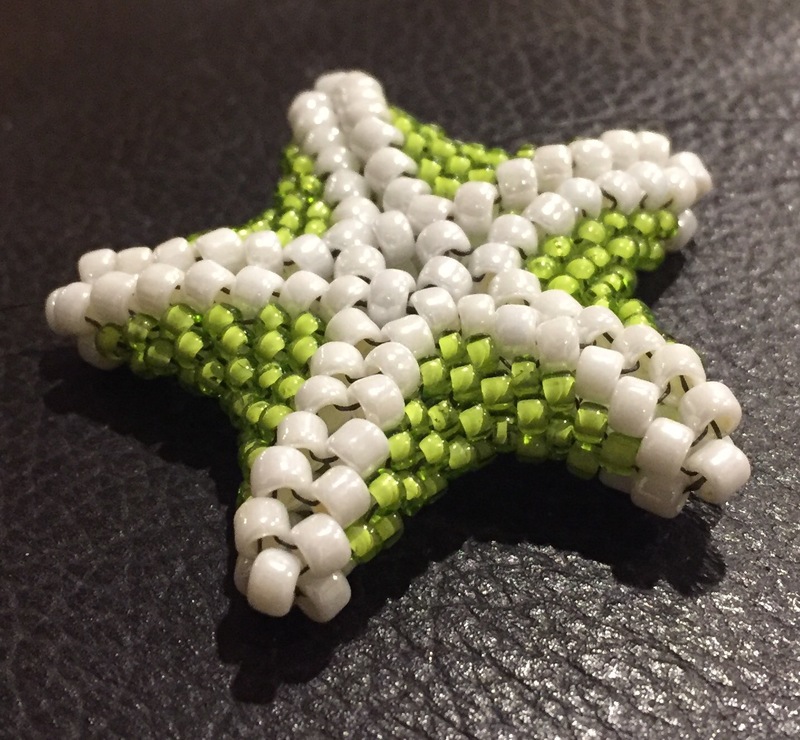 I had the pleasure of visiting with The Pixeladies last week, and had a studio tour of what they are working on. I was blown away with their works in progress, including some wearable fiber piece. Click HERE to see their gallery page of past work. Long time blog readers know I love PSE as a design tool to create many of my designs, including this whole cloth digital quilt, shown below. Now I can finally learn more about the organizer part of this program. Back Home From Sailing Adventures! Been having a great time on our sailboat, but because it is hurricane season, we parked the boat in a safe location and flew home for the summer. That is a good thing since I have been having withdrawals from my longarm and other art supplies. Now I need a good way to organize and stow all the 1,000’s of images I took. Luckily, my good friends, The Pixeladies, are having an eClass starting soon on organizing all your images using Photoshop Elements. I am going to take it, and I hope you will join me in this class. Stay tuned, I will tell you more in tomorrow’s post! Since my quilting machine is home in California and I am on the boat in Florida, I miss creating. Luckily, I have my tablet PC with me, so I created a digital quilt. I often receive questions about some of my free tutorials. I write back to people when internet connection allows, since I am off on new adventures these days (see www.svmahi.com). Sometimes, my response back may be buried in the old post, or my email reply bounces back to me- both which happened in this case. “Hi Helene, I am not home at the moment, but I happen to have bought some of those Inktense block sticks myself. You can use them on fabric in a number of ways- including if you dip your fine brush in a fabric medium, then onto the pigment ink block, then paint onto the fabric. I suggest you perfect this technique first with scrap fabric until mastered. In other words, your instinct was spot on! I always like to start with my lightest color and clean the brush for blending with other colors. Play around with diluting the fabric medium just a bit with water for a more sheer look. Again, all experimentation would be with scrap fabric. I would also heat set the colored fabric, but test it first before your main project. With any project such as this, my only concern is that the technique be perfected before attempting on the vintage linen. That is the best advice I can provide. If you use the grating jar, then again, experiment with the saturation of the pigment powder to water or fabric medium. 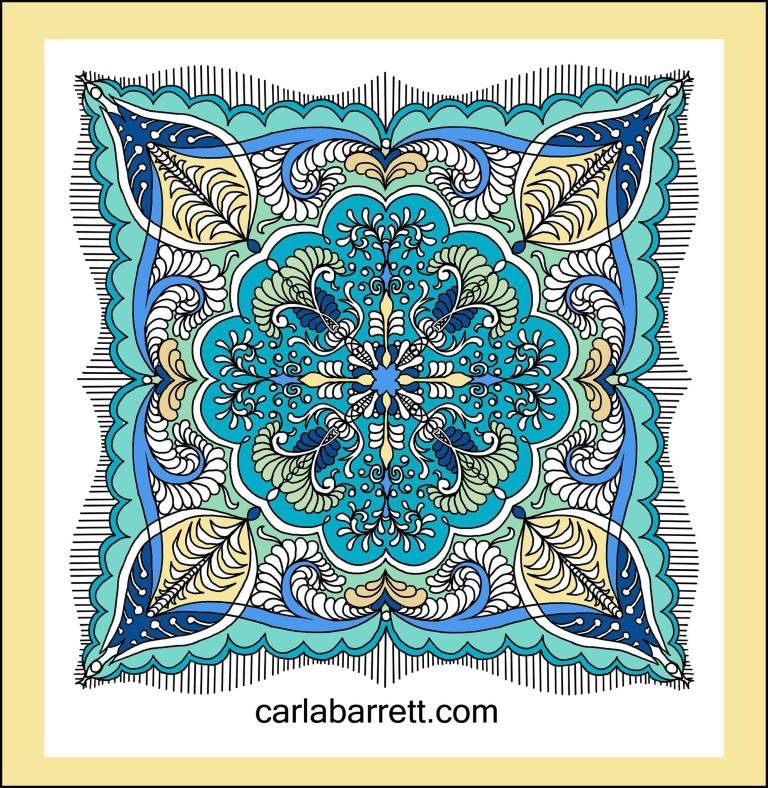 Click to Like Carla Barrett on Facebook! !